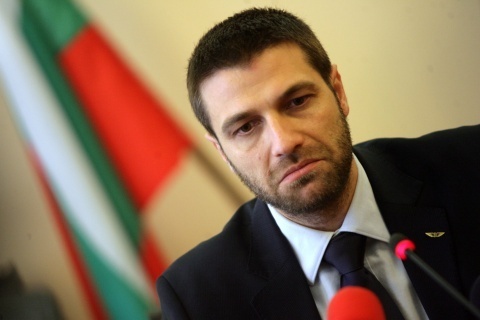 Bulgarian caretaker Transport Minister, Kristian Krastev, is to meet with Turkish counterpart, Binali Yildirim, in Leipzig, Germany, on Wednesday. The news was reported Valentin Bozhkov, Director of the Automobile Administration (Bulgaria), cited by the FOCUS News Agency. This is the first meeting of the two countries' transport ministers since January 2012. Krastev and Yildirim, who already held several phone calls, are expected to seek a permanent solution of the problem with Bulgarian tractor trailers in Turkey. They will negotiate an agreement on freight shipments. The meeting comes on the heels of protests of Bulgarian drivers and freight road carriers, who blocked the Kapitan Andreevo-Kapakule and the Lessovo border crossing points between Bulgaria and Turkey last week. Bulgarian drivers and truck owners were protesting the hurdles for their business on the other side of the border and unfair competition. They complained from unfounded restrictions such as not allowing into Turkish territory trucks carrying over 500 liters of fuel or making drivers wait at the Turkish border for days. The blockade was lifted late Friday evening as all demands were met after negotiations between Krastev, the Deputy Regional Governor of Edirne and the Customs Chief of Kapakule.